Co-mender is continuously looking for innovative solutions for its international partners and trying limitlessly to keep them ahead of competition in their local markets. If you have the technology, product or solution that is linked directly to our range of services ( link ), you can contact us and fill this form. Working with Co-mender is not only a great business opportunity for your company to expand internationally and grow with us wherever we do, but it is also a new construction experience with highly technological business approach. If you are an expert in what is Co-mender providing ( link to our services ) you can contact us and fill this form. Co-mender team will then schedule a video conference call to explain business model and discuss benefits. 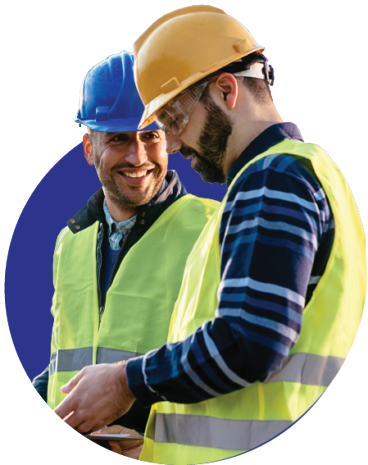 By attending our continuous training program and our continuous online courses provided by our international experts you will be granted a certification to support our local contracting partners and represent Co-mender in all its local inspection and condition assessment projects. In addition to the technical knowledge, you will get paid directly for every inspection you perform with us. Complete the training on the use of our live NDT solutions and our Co-mendAIR software. Download our communication app Co-mendX.